Today was a bittersweet day for Origen, as they secured their spot at the 2015 World Championship Quarterfinals, but sadly missed out on exiting the Group Stage as the No. 1 seed in Group D. Their impressive 3-0 record from Week 1 was marred by strong performances from opponents KT Rolster and, yes, even China's faltering LGD Gaming. But the sudden resurgence of China's No. 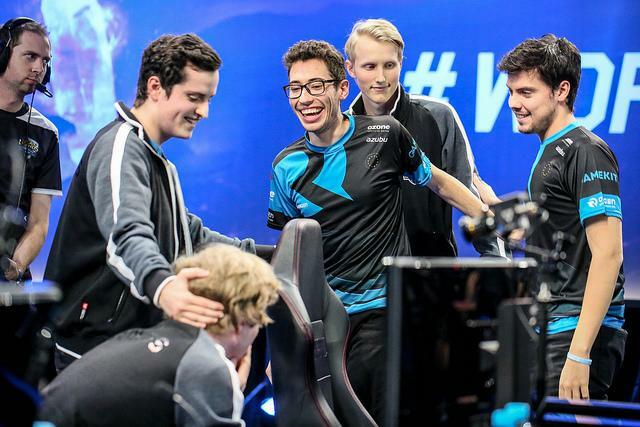 1 seed didn't dampen the mood of Origen's support Alfonso "Mithy" Aguirre Rodriguez. "I feel both happy and sad," he tells us. "Sad that we lost like that, but I'm very happy and surprised that we made it to Quarterfinals. It's something I didn't expect. We kind of had the glimmer of hope that we were going to have the first seed, but then it crashed. We're really happy to be second seed." When pressed about why he didn't expect to go to Quarterfinals, Mithy elaborated. "Going into Worlds, I just wanted to beat TSM. I didn't think we would make it out of Groups, I thought it was impossible. I thought there was zero chance and then it just kind of worked out." Such humble expectations don't end there, though. 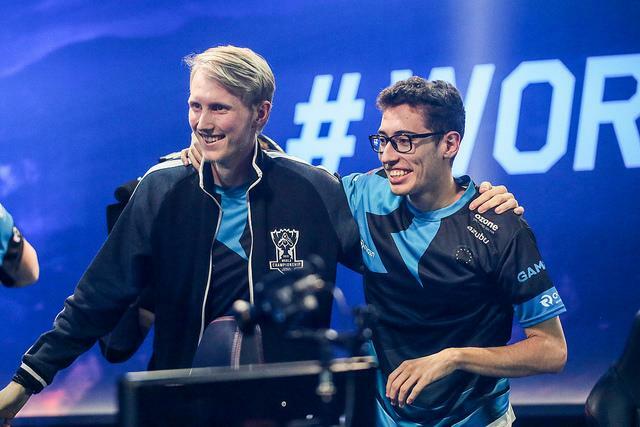 When Mithy joined Origen, he never even expected to make it to Worlds this year. "I've been living the dream ever since Finals and Playoffs. I didn't expect to make it out of Semifinals at Playoffs. The way we beat H2K and got to the Finals -- and it was close there -- then we go all the way through the gauntlet. Make it to Worlds. That's already living the dream, you know? "For me it was like, top six. Do okay, then lose. That's how I thought we would be. And then it just kept going well and we're where we are today. I'm just extremely happy and grateful that this is happening to me." Much of this success is down to the team’s unique shotcalling arrangement. Mithy explained to me how the team doesn't have a dedicated shotcaller who calls out every play. "It's a democracy. Everyone talks, but me and [Maurice "Amazing" Stückenschneider] create game plans throughout the game." Within the team, each lane reports in with their current status and they build a game plan from that information, with a constant eye on objective timers. "For example, me and Amazing will make the decision to say, 'Okay guys, we’re playing for bottom side. Drake is in one minute and a half, so play towards bottom side and set up Drake.' That’s all I have to say, because as soon as I say that it means that SoaZ knows his role, xPeke knows his role, Niels knows his role, and me and Amazing know our roles. Everyone knows what they are supposed to do and everyone should think for themselves." This may seem contrary to what you've seen during episodes of Mic Check on PTL, but the intuition of such veteran players requires far less communication during team fights. Many teams have a very granular approach to shotcalling, with a single shotcaller yelling out specific champions to focus. "In [our] team fights, no one really talks. It’s actually really weird, because I hear other teams in team fights but I, for example, I’m really focused. I can’t talk. At the point where we are now, the game sense is really high. By that I mean that, if I’m going to play Annie for example, I’m not going to say, 'I’m going to engage. Three, two, one, go!' and then the others say, 'Okay, I will follow up!' That’s not how it works. If I want a fight I will say, 'Okay, let’s fight here. Be ready.' Then my team has to be ready and that means I will Flash engage at any point, and they will have to follow up. Everything just flows. We're putting a lot of trust in game sense. We plan out the fights before they happen." With such strong synergy between teammates, it's hard to see what could have gone wrong during their losses today. "Communication was problematic," says Mithy. "We had the information about the things that were happening, but we didn't properly play around it. When xPeke got dived mid in the game against LGD, that basically destroyed the game. We said, 'They're walking in our bottom jungle,' but we didn't say it clearly enough so xPeke didn't hear. They walked on our bottom jungle and dived him. We knew they were there and he got dived. First blood. The game was screwed." Was there no coming back from such an early stumble? "We could have done more but at that point the early game was really screwed up for us. I don't think we had a good week of scrims and everyone was not 100%. I feel that we weren't positive enough to make comebacks and we were just falling really far behind." "Even myself, I basically tilted," he admits. "I was playing my lane bad, I was playing individually bad, and getting even more stressed out and everything just affects you. I wasn't positive enough. I wasn't playing on my A game. So I was trying to focus on myself a lot and then I wasn't helping the team enough." But don't count Origen out just yet. Mithy believes these losses will allow them to perform even better in the Quarterfinals. "Yes of course [we can come back from this]! It's good that it happened, because if we went 6-0, it would be hard for us to see our own flaws and improve on them. Losses are ten times easier to improve on than wins." "If we had won every game we would go overconfident into the Quarterfinals," he continues. "Say we lose the first two games Quarterfinals because our play or our strats aren't working, we aren't going to come back from it, but since we know now what is wrong, or we understand some things that are wrong, there's a higher chance that in the Quarterfinals, we will put on a better show than if we went 6-0 this week. I'm 100% sure of that." See who Origen will compete against in the Quarterfinals during the Group Draw after the final games tomorrow. The Quarterfinals will kick off in London, England on Thursday, October 15 at 17:00 BST / 9:00 AM PT.